Most reviews on this site are of products we personally pay for. From time to time we accept samples for review. When we accept a free sample we will strive to say we received it for free. The fact we receive a free sample does not influence our reviews. We want to support the entire wine and brew community in the CSRA so we support (by publicizing their events) all of the wine and brew shops in the area that request it. We strive to attend all tasting events in the area but make no guarantee. We do give our wine shop advertisers, Vineyard Wine Market and Wine World, an extra link in our navigation bar to thank them for their financial support. It takes time to prepare for a tasting so we use a general rule of thumb on whether we cover an event or not: If a sponsoring wine shop can send us the wine list in advance, or before the event is over, in digital form, we will attempt to cover the event. We want to post the wines tasted from every event we cover. Having to type in the wine list takes considerable time, time we could be spending with our families. We will gladly promote their upcoming event but we probably won’t attend it (unless we know it’s going to have some really spectacular wines). We make no guarantee to anyone who submits samples to us that we will actually publish a review. If we do choose to review a free sample we will review it objectively. If we don’t like it we will say so. Generally we won’t do a review on a single sample we don’t like. But if the sample is part of a collection, such as a virtual tasting event, we will state what we think, not what someone expects us to write. We write based on our palates. (If you try what we like and agree then we are in tune). Dennis loves great wines. 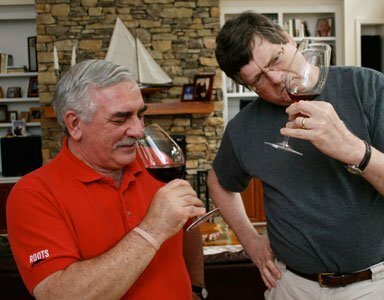 He does not claim to be a wine expert (but does know a lot about the subject after his many years of writing wine columns for the Augusta Chronicle and Augusta Magazine). His wine reviews are of wines he likes. If he tries a wine he doesn’t like he won’t write about it. So if someone sends him a wine to review and he doesn’t like it he won’t review it. Why write about wines he thinks others might not like. Mark prefers reviewing the whiskeys he enjoys. But occasionally we receive samples for review and if he doesn’t like them he says so. Mark makes great wine cabinets and wine racks for wine cellars big and small. He also has spent time in Italy and knows his way around the “Italy” section at any wine shop. 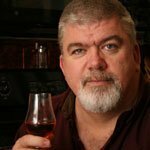 With the success of BottleReport.com, Dan Doughtie, operating under Grand Horizons LLC, is helping local shops with their websites. He has redesigned two sites so far: The Vineyard Wine Markets (Vine11.com) and Ninth Street Wine Market. He has a third in the works. He is currently updating these websites on a regular basis. Dan is paid for his services. He does not allow his business relationship to interfere with his objectiveness on BottleReport.com. VinWorx, Wine World and Vineyard Wine Market are paying advertisers. Do you love beer and want to write reviews? Let us know. We would love to have a regular brew reviewer. We only ask that you be a local. If you are in the “business” we will make a full disclosure on your relationship and ask that you not blatantly promote your business. We can’t pay anything but you get to meet some great folks when there’s a tasting.